Nest is a provider of a popular line of smart home devices such as surveillance cameras and programmable thermostats. As part of managing your smart home, you’ll likely want to integrate any Nest products you own with Alexa, Amazon’s voice assistant. Alexa is built-in to Amazon’s Echo devices and offers hands-free control of your smart home gadgets. However, as part of the integration there are a few things to consider. Nest cameras and Nest thermostats can all be controlled through Alexa. Setup is very easy and can be done in minutes through your Alexa applications. Simply click “Smart Home” and then “Discover Devices.” Multiple Nest products can be add during the setup process. Once you authorize Amazon to access your Nest account, you can start controlling your Nest devices. Keep in mind that if you have multiple thermostats or cameras, you’ll need to name them during commands as a way to control the device. For instance, you may say “Alexa, turn living room thermostat to 68.” The names of the devices are controlled through your Nest application, not Alexa. You can also give Alexa simple commands as a way to control your home’s temperature. For instance, “Alexa, lower the thermostat” will prompt the Nest to decrease the temperature by two degrees. “Alexa, turn the temperature up” will increase the temperature by two degrees. While in these modes, Alexa commands can’t override the Nest system. Something you may not have realized is Google and Amazon have been at odds of late about the future of smart home technology. Google owns Nest while Amazon owns the Echo devices that include Alexa. 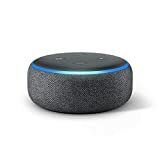 Amazon had refused to sell certain smart home devices developed by Google like the Chromecast and Google Home speaker. 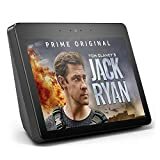 In retaliation, Google removed YouTube from Amazon’s streaming devices such as the Echo Show and Fire TV. In March of 2018, Business Insider reported that Amazon would no longer be selling Nest products on their retail site. 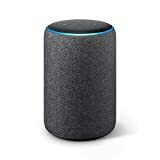 However, as of March 2018, the Nest Skill is still available for Alexa. With Amazon’s acquisition of smart home manufacturer Ring, many are wondering if support for Nest on Alexa will go to the wayside if the feud continues. Protect America offers monitored home security services at affordable rates. Their line of reliable security equipment can be controlled with Alexa. For more information about our products and services, contact us today and receive a free no-obligation quote.